Osram, a global high-tech lighting company, has announced the launch of SensiLUM™, a wireless integrated sensor product family. SensiLUM sensors, which will debut at LIGHTFAIR International (LFI) 2018, enable occupancy detection, daylight harvesting and individual or group control of luminaires over a mesh network based on ZigBee® standards. 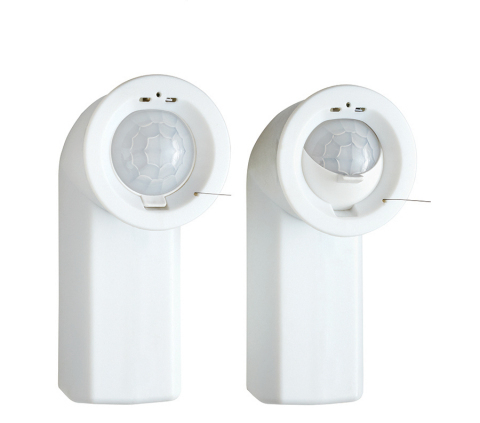 The SensiLUM sensor fits into an industry standard ½-inch knockout in any luminaire. It is compatible with the ENCELIUM® EXTEND Networked Light Management System (LMS). Osram will be located in Booth #1002 at LFI, the world’s largest annual architectural and commercial lighting trade show and conference, to be held May 8-10 at McCormick Place in Chicago. SensiLUM sensors offer 0-10V dimming or Osram DEXAL™ (Data Exchange (interface) for Advanced Lighting) control options. The DEXAL interface option enables bi-directional communication and power between the driver and the SensiLUM sensor. It is ideal for interior commercial office spaces that could benefit from predictive luminaire maintenance programs and rebates from utilities’ energy saving incentive programs that require exact luminaire-specific data, including power consumption, temperature profile, operating hours and diagnostics. The SensiLUM wireless integrated sensor is compact with an L-shaped profile (25.4mm outer diameter, 22mm height, and 63mm length). The sensor also incorporates a custom designed mechanical shutter for quick field of view adjustments to avoid false occupancy detection. The compact design along with a rich feature set enables the SensiLUM sensor to be seamlessly designed into a wide range of OEM luminaires. To learn more about Osram and the SensiLUM wireless integrated sensor, visit www.osram.us/sensilum, or stop by the Osram Booth #1002 at LFI 2018, May 8-10, 2018, at McCormick Place in Chicago. To learn about the latest trends and technologies in smart lighting and emerging smart building applications, visit info.osram.us/blog.